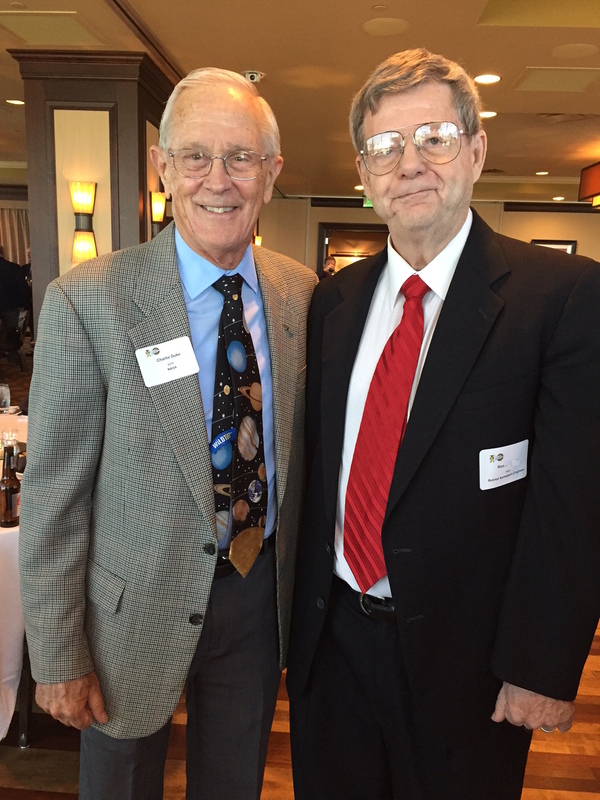 Ron and I went to see Charlie Duke, Lunar Module Pilot for Apollo 16, at the Petroleum Club last Wednesday, June 29. Charlie is a very articulate speaker with a great sense of humor and humility at the incredible job he did as an Apollo astronaut and Moon-walker. There aren’t many Moon-walkers around, and it was a treat to see and meet one in person (I even got to ride the elevator up to the meeting with Charlie Duke – a long story I’ll tell at the next group meeting!). Here is a picture of Ron from our group with General Duke.